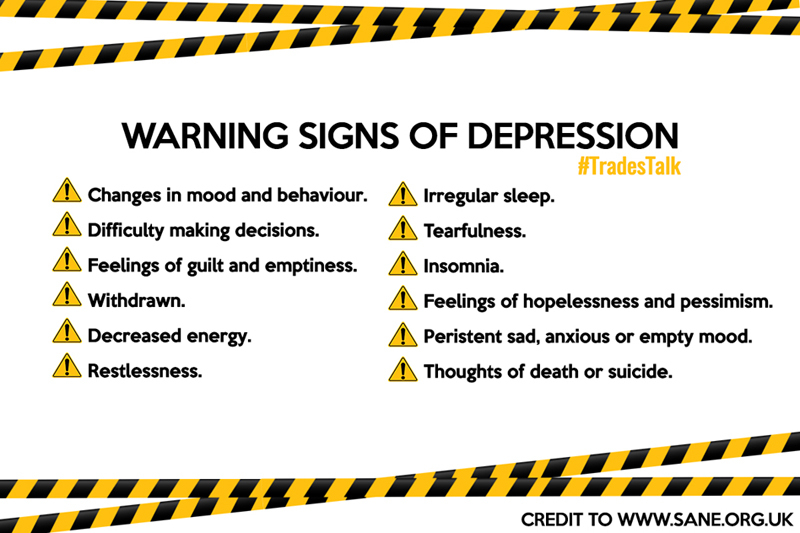 This week’s #TradesTalk discussion on Twitter was on the very important topic of mental health, and how to seek support if you think you need it. It was an incredibly busy chat with loads of tradespeople joining in with their stories, so here are some of the highlights. The first question looked at the warning signs to watch out for, with some advice from SANE as well as the #TradesTalk community. Then the discussion moved on to where you could seek support, and although many people said they talk to family and friends, the importance of professional help was also highlighted. The third question looked at whether working in the construction trades can make mental health issues more likely. A3 definitely. The nature of the hours and with some people all the time away from home takes an unseen tole. Too many hours adds up to not enough time to look after yourself. Next we discussed whether social media is good or bad when it comes to mental health. What can be done by society to help men with mental health issues? If you’d like to suggest a topic for #TradesTalk please do send a DM on Twitter, Facebook or Insta.